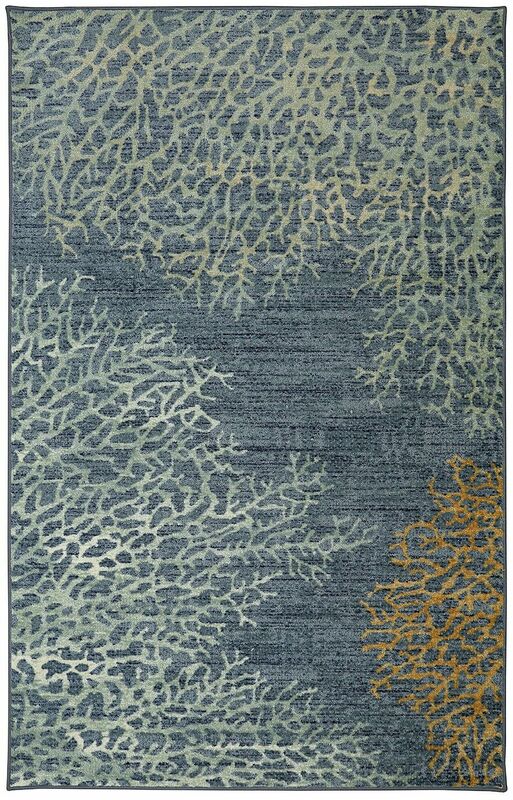 Inspired by what are often referred to as the Rainforests of the sea, the style of our Coral Reef rug features intricate prints of these natural wonders that live on the ocean floor. A myriad of shades of green, brightened by sunny yellow and warm sunset orange, create the alluring palette of this original design. This rug is quality constructed with Mohawk Homes exclusive Weardated nylon, designed specifically to resist staining and crushing in high traffic areas of the home.